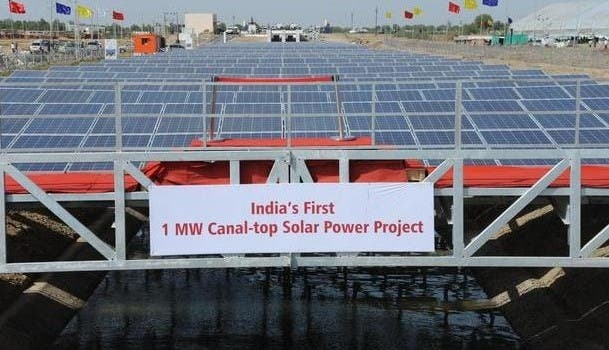 After canal-top solar power projects, India is planning to install the world’s largest floating solar power project. India’s leading hydro power generator National Hydro Power Corporation (NHPC) is planning to set up a 50 MW solar photovoltaic project over the water bodies in the southern state of Kerala. Renewable Energy College will provide assistance to the company for implementing the project. Under the contract with NHPC, Renewable Energy College will provide technical know-how and assist in the installation of the proposed floating solar power plant. The approximate cost of the project would be about $64-72 million. The equipment required for the construction of the project will also be sourced by the College. 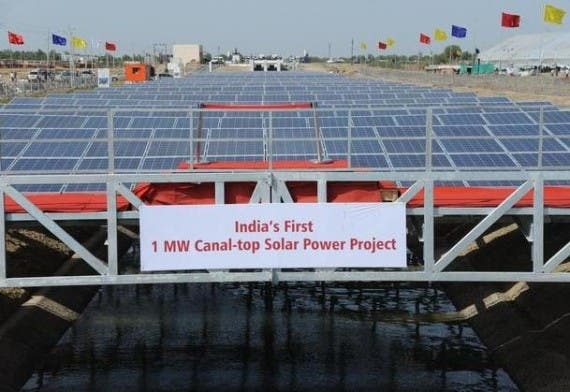 This floating solar power plant technology was developed last year by a team led by SP Gon Choudhury, Chairman of the Renewable Energy College. With the total estimated cost of Rs 35 lakh ($63,600), the first pilot project is scheduled to be commissioned this year in October at a lake in the outskirts of Kolkata in West Bengal. The funding for the pilot project was provided by the Ministry of New and Renewable Energy (MNRE). Solar panels will be installed on floating platforms which will be anchored firmly to avoid undulation of the panels around the surface of the water. Capital cost for this floating installation is approximately $1.18 Million per MW with power generation cost of Rs 7 ($0.13) per unit. These projects may also qualify for subsidies granted by the state and central government as part of their solar policies. This technology is expected to offer more generation yield compared to the solar panels installed on the surface. Project developers would see substantial savings on project cost as the cost to acquire or lease land and cost of land reclamation would not be a factor. The ecology of the water body is not likely to be affected much and it will also reduce evaporation, thus helping preserve water levels during extreme summer. Solar panels installed on land, face reduction of yield as the ground heats up. When such panels are installed on a floating platform, the heating problem is solved to a great extent. “We have also been approached by Chilika Development Authority (CDA) in Orissa and the Kerala Airport Authority for setting up similar facilities there. While the Chilika lake has an area of over 1,100 square km, the Airport in Kerala has a huge water body where such facility can be set up. Such panels could also be installed on water reservoirs of dams”, said SP Gon Choudhury, chairman of the Renewable Energy College. When the project by NHPC is commissioned it would replace a project in Japan as the world’s largest floating solar power plant. Last year in July 2013, West Holdings Group had commissioned 1.2 MW floating solar power plant over a reservoir in Okegawa City, Saitama Prefecture in Japan. Approximately 4,500 floating solar panels were installed on a surface area of about 12,400 square meters of the 30,000 square meters reservoir.